44 young beneficiaries of the sponsorship programme of La Chaîne de l’Espoir have participated between July 21 and 22 in a training session on the relationship to the self and to others conducted by our local team. The “Youth Leadership Development Camp” training is not so much about training future infantry colonels as about building the capacity of young people to communicate, solve problems together, encourage positive behaviours and foster self-confidence. The participatory methodology used to organise those workshops, that put the child at the centre of activities, seems particularly adequate in a declining education system where little demand is placed on the pupil and the main learning method is the learning by heart method. 44 children and 6 teachers coming from four secondary schools in the Nang Rong district and from the House of Hope have discovered this innovative approach designed to foster collaborative work based on students’ interest and where the teacher is not the sole provider of the authority but rather shares it with a group of children taking decisions collectively. Development of the critical thinking, sense of responsibility, ability to listen, patience and initiative are essential skills that were put into practice during those two days of training. At the end of the workshops, our young “leaders” have presented the future actions to be developed inside their respective schools with the support of La Chaîne de l’Espoir and reference teachers. Various groups of pupils have suggested waste recycling programmes and agricultural activities with a view to improving the school environment. The creation of a children’s club is another particularly interesting project. Children will be requested to make their classmates aware of the thematic of sexual and reproductive education as well as identify at-risk youth and ensure the reporting and coordination with the relevant stakeholders (teachers-advisers, public health centres, social workers of La Chaîne de l’Espoir, etc.). 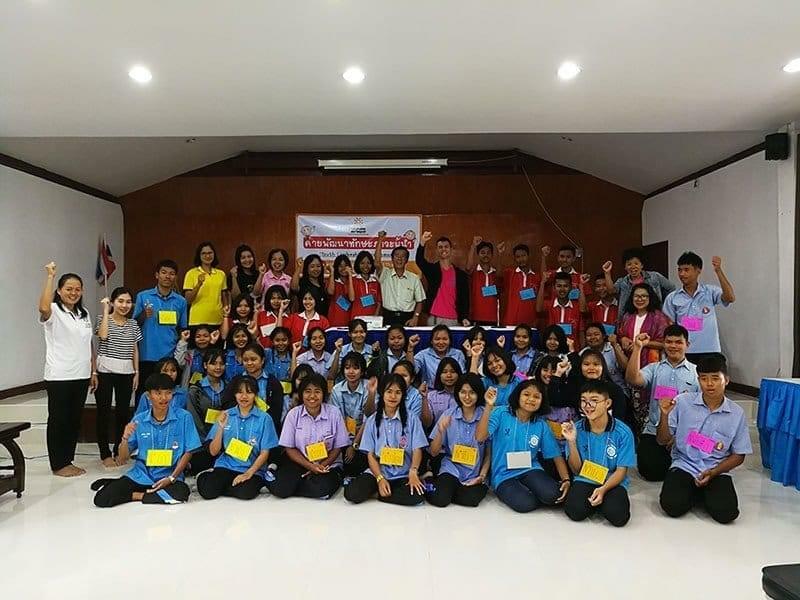 Another training session will be organised at the end of August to cover all the secondary schools in the district of Nang Rong. Workshops on specific topics will also be developed by the local team of La Chaîne de l’Espoir directly inside the primary and secondary schools.